... otherwise known as the toughest blog post I've ever written. If you've been following along, Dan and I went on an epic babymoon adventure in March. We had a BLAST. 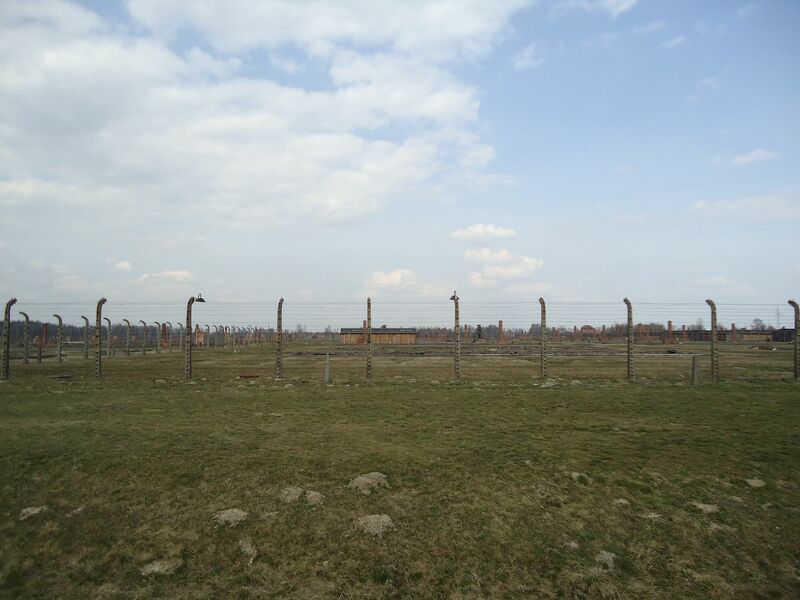 I've already written about our time in London, Cambridge, and Kraków... but we also took a day trip to Oświęcim, Poland... otherwise known as the town where the Auschwitz concentration camps were (Auschwitz I concentration camp and Auschwitz II, Birkenau, the death camp). This was a place I'd wanted to visit since I first learned about it many, many years ago. 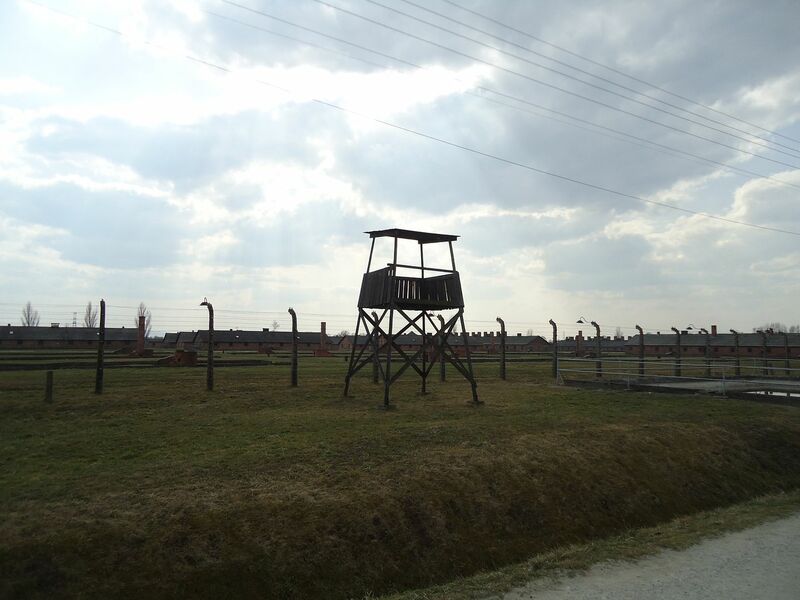 I still cannot fathom the horrors that the prisoners endured daily at Auschwitz-Birkenau. 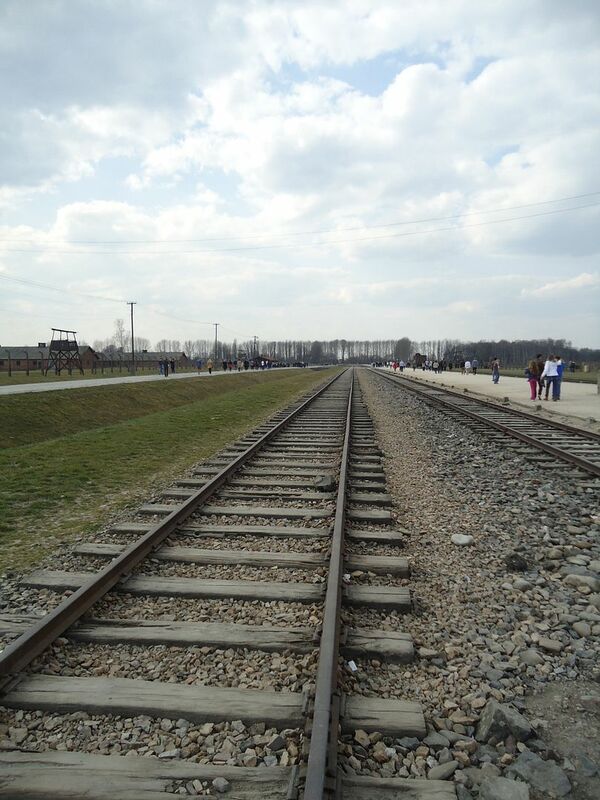 1.1 million people were murdered while Auschwitz was open, 90% of them Jews. 1.1 MILLION people. Let that sink in. And that's a conservative estimate. 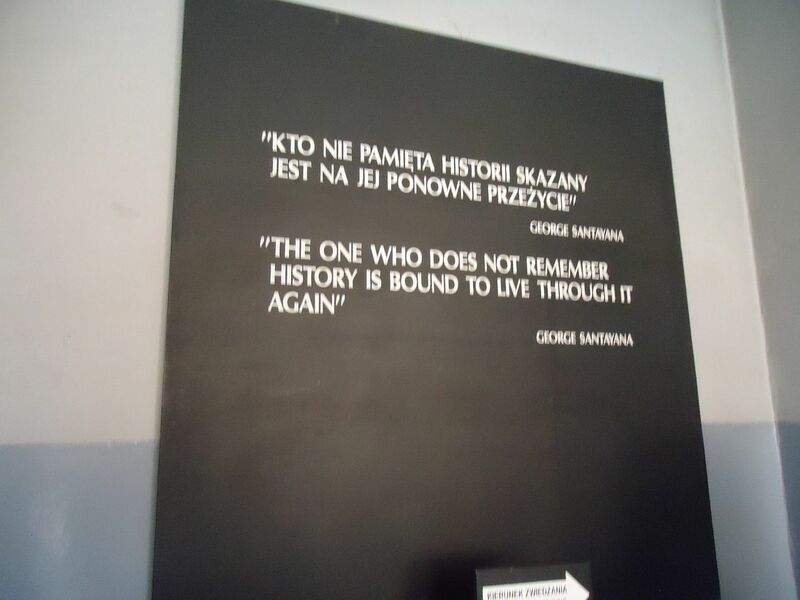 Names and records were not kept after a certain time because it was not efficient or cost-effective for the Nazis... so all in all, thousands and thousands of more people could very well have been murdered at Auschwitz. 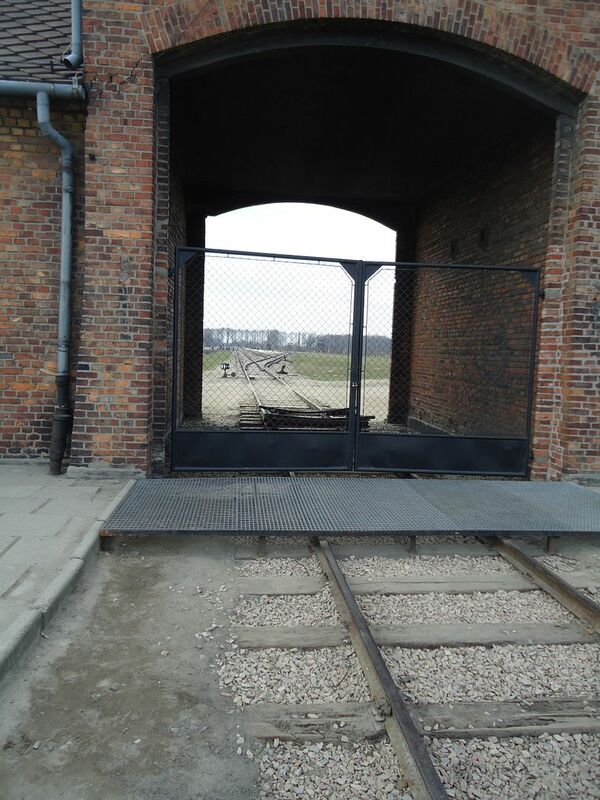 1) If you're planning a visit to Auschwitz, splurge, and get the guided tour. It's 110% worth it, I promise. Dan and I never pay for guided tours, but we are so glad we listened to the people of the Internet who suggested it. Our tour guide was a young Polish woman who spoke great English, and we learned so much more from her than we would have on our own. Plus, the exchange rate in Poland is AMAZING for Americans... so it ended up costing us less than $20 US total anyway. Do it. You won't regret it. 2) For the love of everything, when there are signs telling you not to take photos in certain places and your tour guide repeats over and over not to in certain places... just DON'T take any photos there. If you don't speak Polish or English, there are photos of a camera with a slash through it - not hard to comprehend. Don't be so disrespectful and tasteless. Have some tact and a soul inside of you. People were MURDERED here, and you are taking photos - selfies even - with dead people's belongings - their hair, suitcases, shoes, etc. Why? Because you want a 'like' on Facebook? If the sign says no photos in certain rooms, OBEY that. Be a human with a heart. I can't tell you how many people blatantly ignored the signs and tour guides, and my blood was boiling. This is not a zoo. This is a DEATH camp. Arbeit Macht Frie - Work Sets You Free. 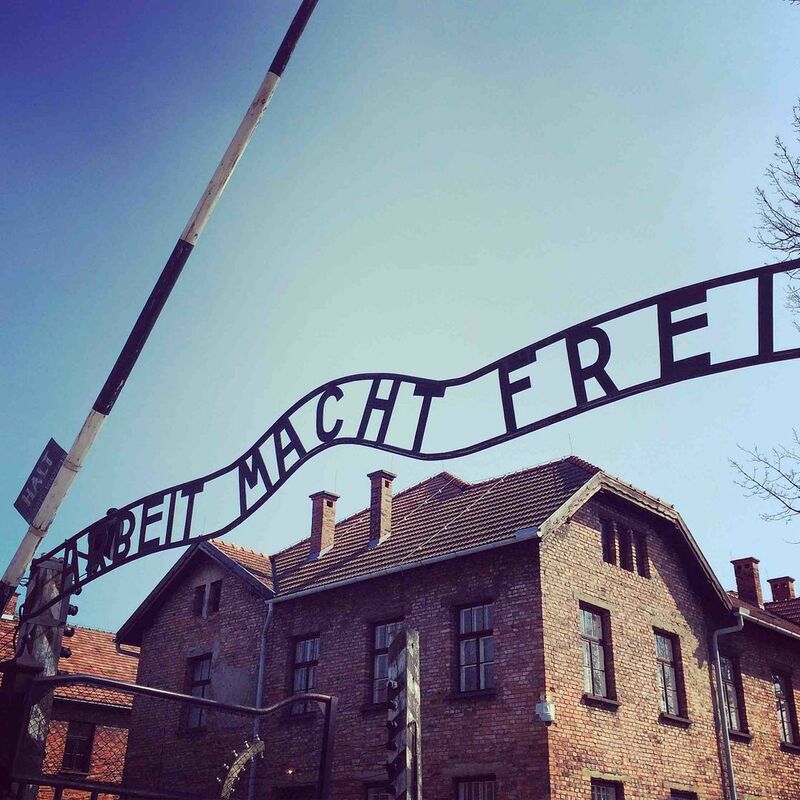 The Germans made the infamous sign at the entrance of Auschwitz to trick the Jews into thinking that if they worked hard enough, they would be spared. That couldn't be further from the truth. In fact, most people were sent to death when they first arrived, but there'll be more on that later. Truer words have never been spoken. We need to learn about history so we can always remember the horrors and never repeat them. 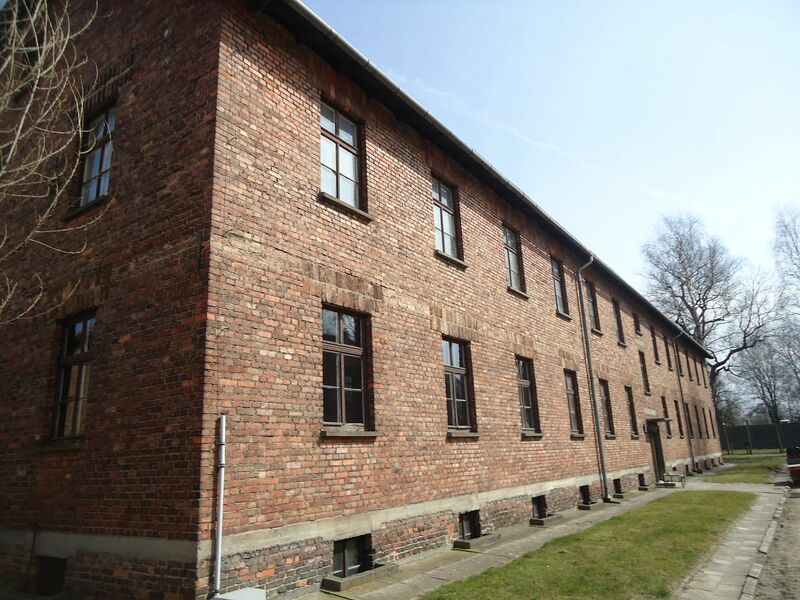 These are the original brick buildings that held prisoners at the concentration camp portion at Auschwitz I. Walking through them was unnerving to say the least. We witnessed rooms where people had their last few moments of life before being executed. Hearing that was so tough. I cannot fathom the emotions these poor people felt every day they were in that horrid place. There is now a memorial with flowers in this exact spot... but don't be fooled. This is where they executed people for stealing extra food (when they only received about 100 calories worth a day - can you imagine?!) to keep them alive... and instead, they were shot in the head right here. This location is in the middle of the barracks, so the other prisoners had to see/hear the shots. It served as a warning to them to not make the same mistakes. Absolutely awful. See that chimney? Yeah, it's not there to keep people warm. 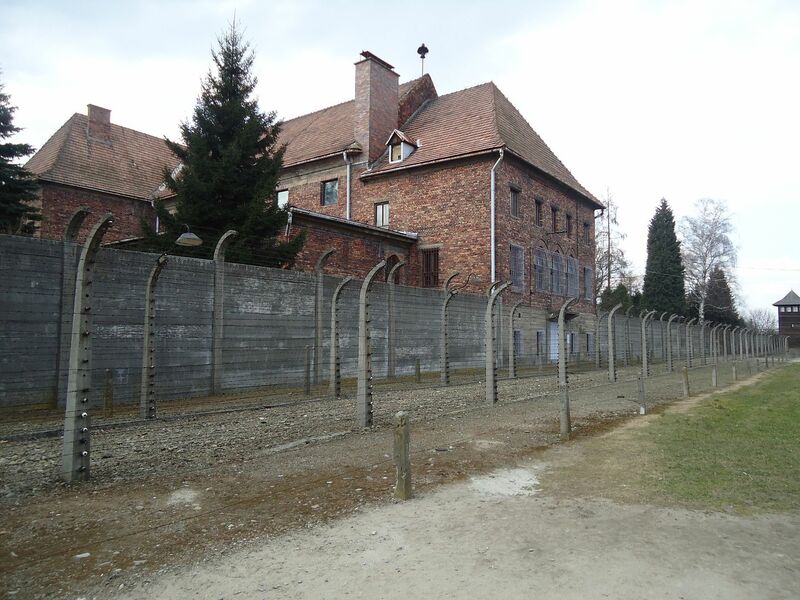 This is the one at Auschwitz I that is still standing. 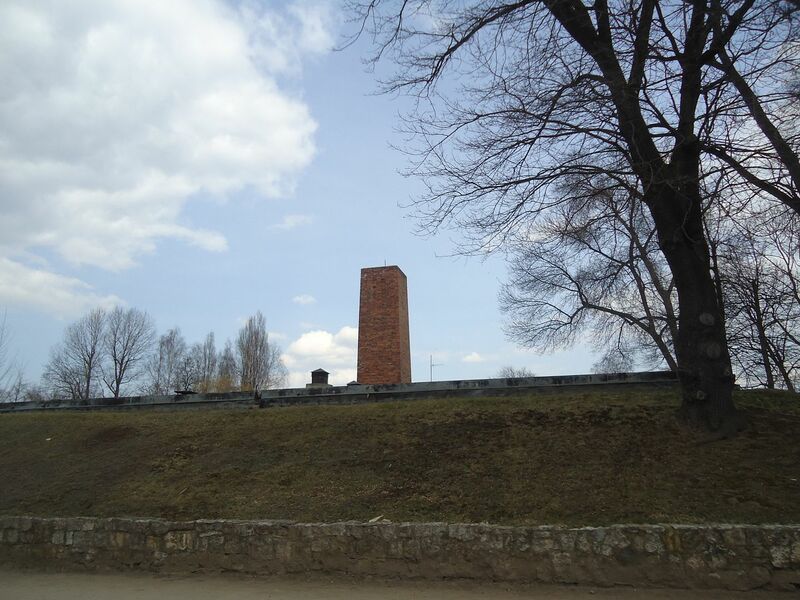 It wasn't the mass chimney used to exterminate (but really murder seems to be a much stronger word) people, but it is the one where they practiced and perfected it on a smaller scale. Dan and I were able to go inside, and we stood in the exact spot that so many people were killed. We saw the poison that was used. It was surreal being in there, but we didn't take any photos out of respect. What the prisoners were told is that they needed to strip down so they could have a real shower - something they hadn't had in weeks, months, or years depending on when they arrived. They were told that there was even soap to disinfect them with, so they were excited. Upon entering, however, the lights went out, and poison (called Zyklon B - a pesticide) came out of the overhead faucets instead of water. It took people roughly 20-30 minutes to slowly die from choking and being unable to breathe. They were standing there with their friends, their children... and they had no way out. Horrific and completely inhumane. 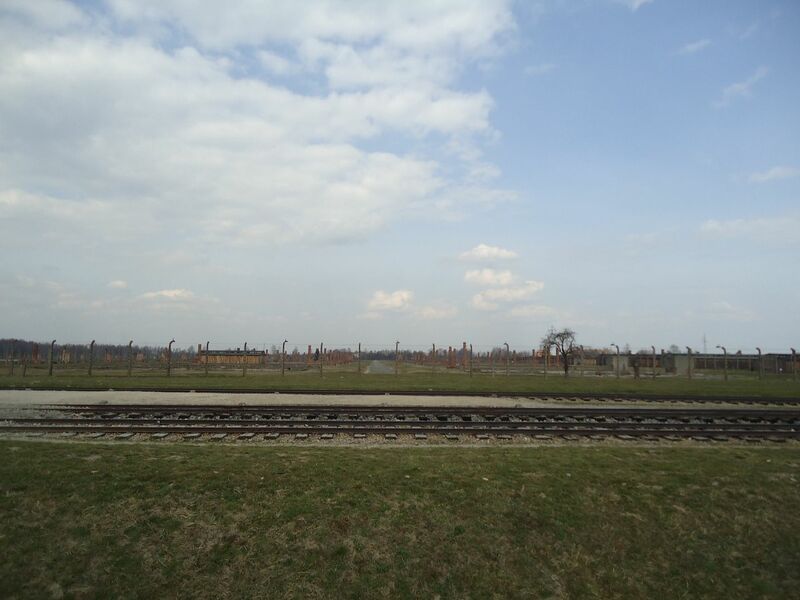 After finishing the first half of the tour at Auschwitz I, we took a short bus ride next door to Birkenau. This is where the vast majority of the killing took place. 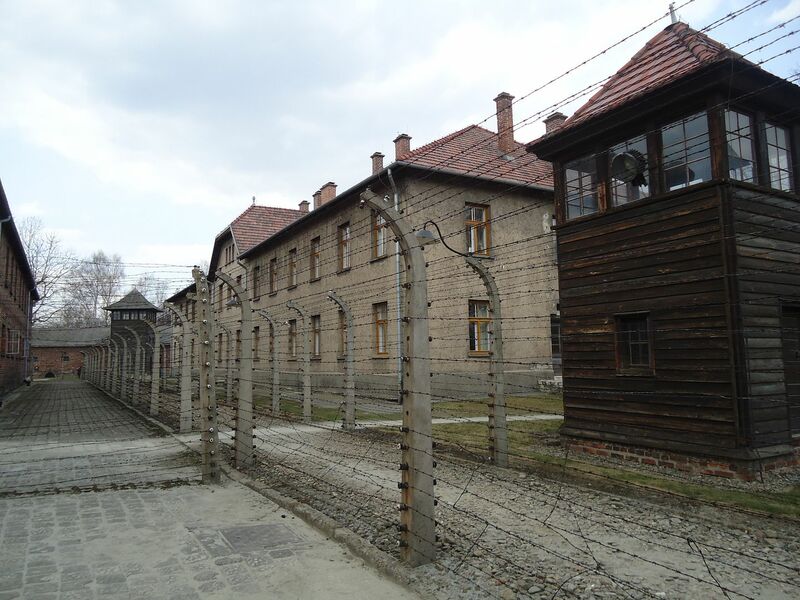 Auschwitz was the concentration camp where prisoners were forced to work. They were tortured, yes. Some were killed. 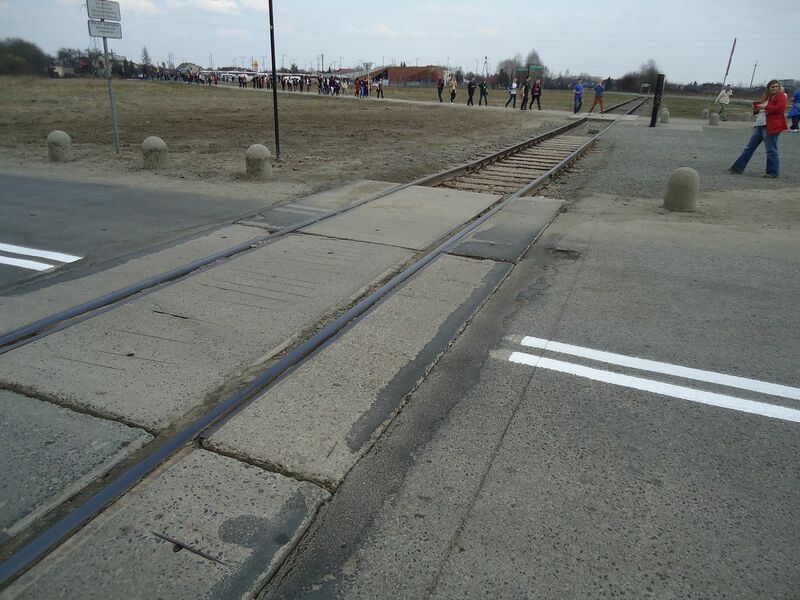 But at Birkenau? This is where most people died. Seeing these train tracks brought so many emotions to surface for me because I knew exactly what happened on them 70 years ago. This is where the "selection" took place. I will talk more about that a few photos down. Those buildings in the distance are where the prisoners lived. We walked through and looked in each one but again chose not to take any photos out of respect. The bunks were stacked three high with barely enough room to move in each one. The prisoners slept three or four to a bunk, and they slept on hay or plain wood board. People died from disease all the time because of their living quarters. It was tough to stay healthy when your only food of the entire day is a 100 calorie bowl of broth. For days, weeks, months on end. I don't mention years because most people died within two-three months of arriving at Auschwitz, whether it was by gas chamber, malnutrition, or disease. Trains would pull up full of Jews. This is where the "selection" happened. They would be shouted at - called pigs and other disgusting names. They would get off the trains, shaking, scared, and not knowing what was about to happen to them. Families were ripped apart, never to see each other again. Some were called to the left, while others went right. Those who were called to the right were the "lucky" ones. 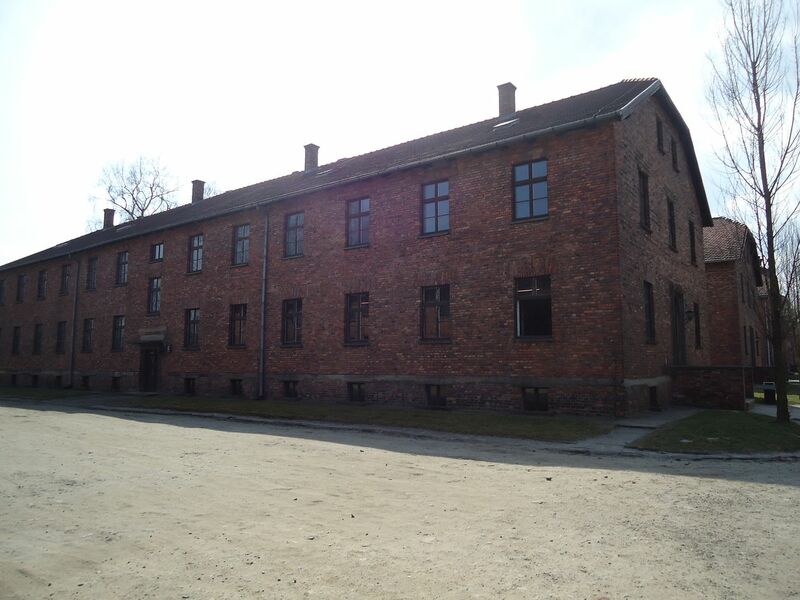 They were forced to work, to build things for the German army... to be fed only a little bit each day and to be kept in overcrowded, filthy barracks where lice and other diseases ran rampant. But those called to the left? 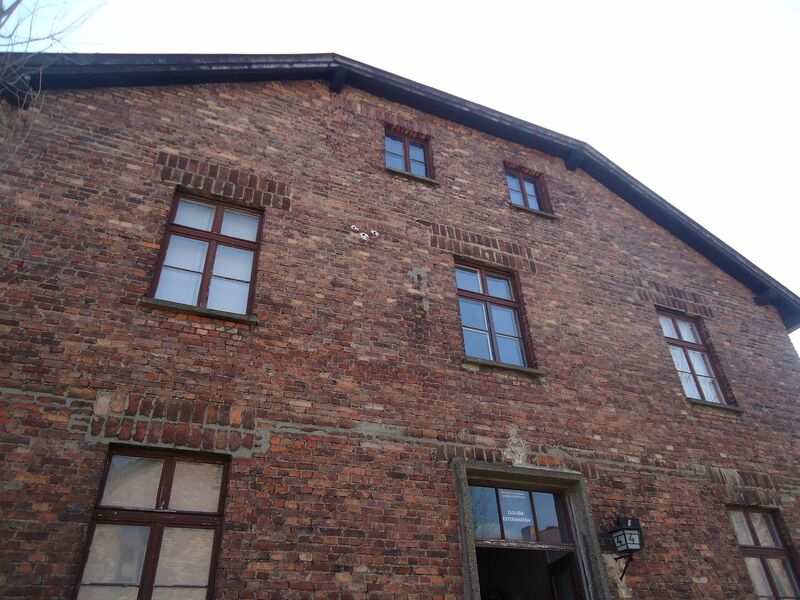 They were taken to the gas chambers straight away, no questions asked. They arrived, and they were killed on the spot. 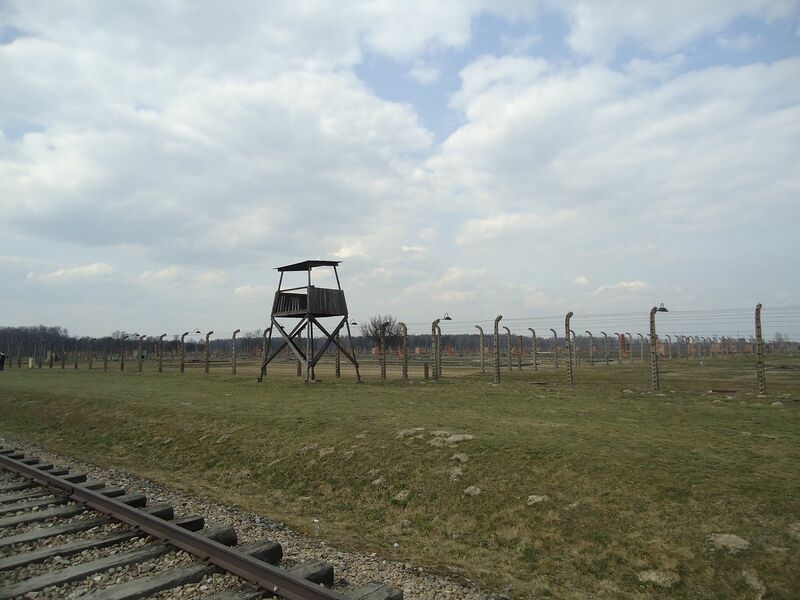 In all, 1.1 million people were killed in those gas chambers. We were told that each one could fit about 700 people at a time, and that's all they could kill in one day since after the people we dead from the poison, they had to be removed (their bodies) to another room to be set on fire and burned to ashes. Guess who had that job? One clue: it was certainly not the Nazis. I don't have any photos to share of the bathroom because I just couldn't bring myself to take any. But let me explain: It was a huge room full of about 200 toilets. These toilets were not as we would imagine, but instead it was rows upon rows on concrete holes in the floor. The prisoners were let in 200 or so at a time, so they had no privacy at all. They also only had two or three minutes at a time, so they couldn't be shy - they had to get their business over with. 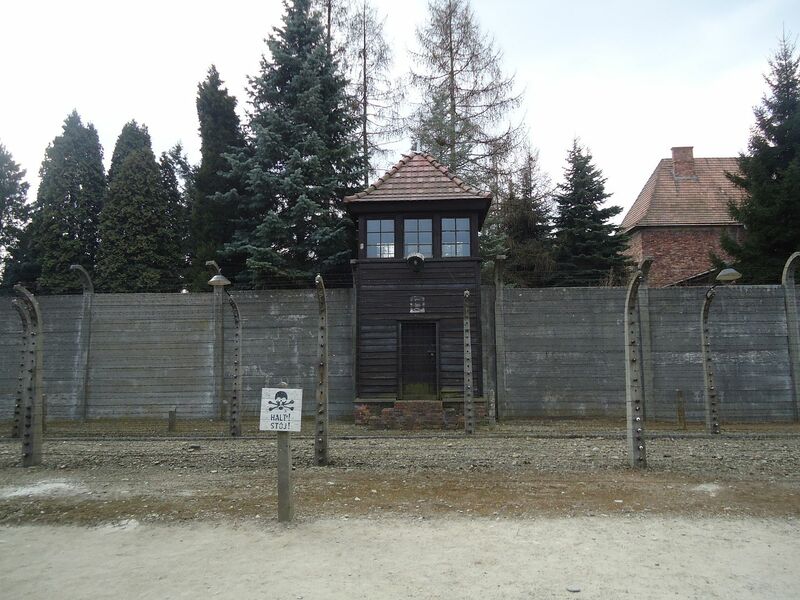 Due to sickness, many of them suffered from diarrhea constantly, and the worst part of all - they were allowed to go ONLY when instructed by the Nazi guards, which was normally twice a day. I don't know about you, but that just wouldn't work for me. Oh, and guess whose job it was to clean those concrete holes in the ground? That's right - the prisoners. But we learned that it was actually a job most people WANTED. Why? Well, they were indoors most of the day, so they didn't have to deal with being outside in the brutal Polish winters with hardly any clothing (except to transport the waste). They could also talk amongst themselves most of the time because the Nazi guards didn't want to be near the bathroom. 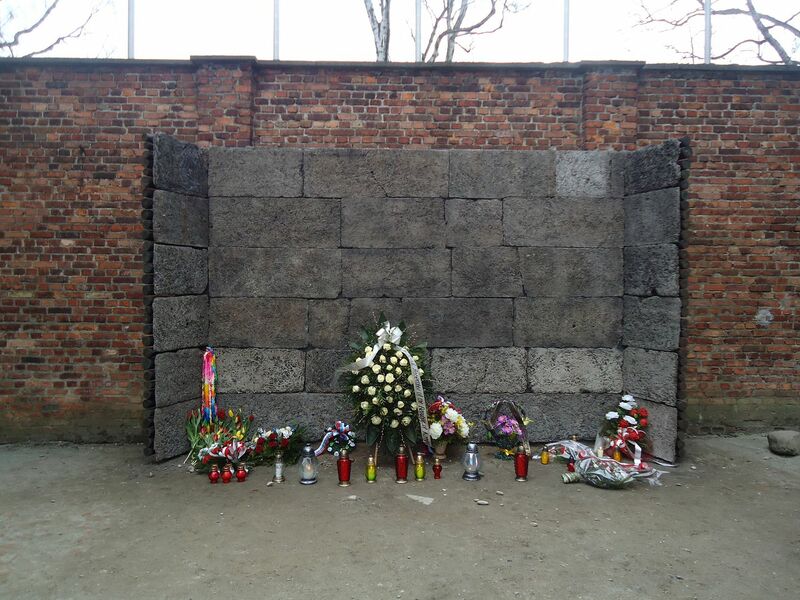 Dan and I had an overly emotional day while visiting Auschwitz. It was tough listening to our guide tell us of all the atrocities. Sure, we had both read a lot about it and had a general understanding, but hearing it from a Pole while standing on the same ground where so many people perished... that was difficult. We were glad to be able to go when we could. They are starting to fix some of the infrastructure in some buildings so that tourists can continue to walk through them. 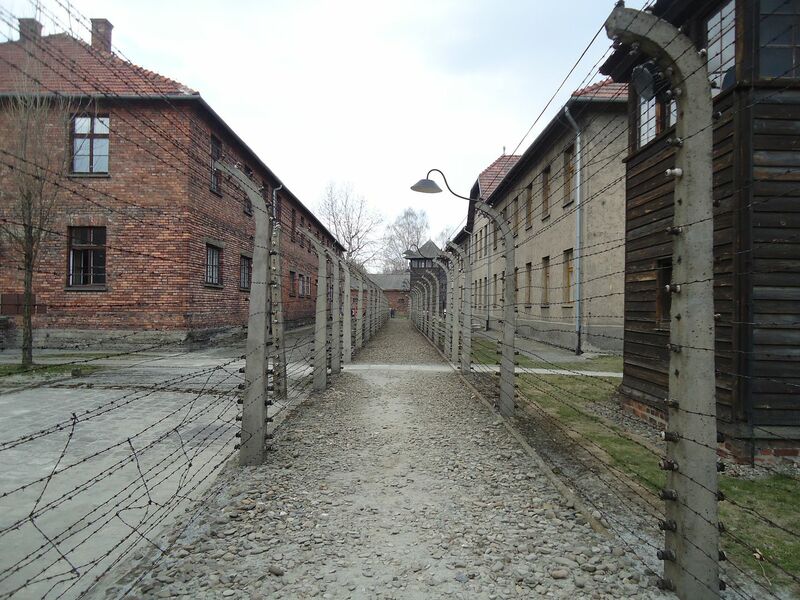 What we saw was original, and while there will still be so much to learn about the Holocaust in the future, I am thankful we were able to experience Auschwitz I and II when we did. 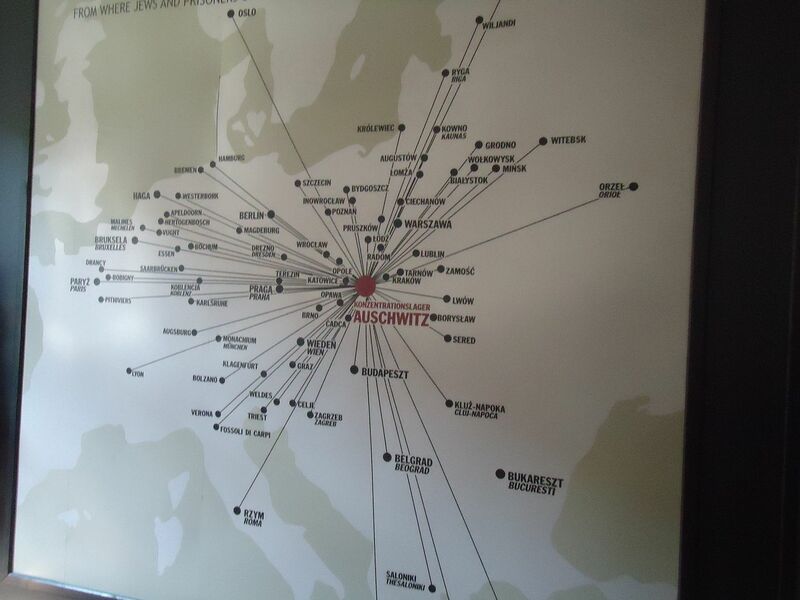 We hope to take our children back someday to see Auschwitz in person after they learn all about such a dark piece of history. * If you're interested in reading the book(s) that got me all started on my fascination with Poland and Auschwitz specifically but of the Holocaust in general, check out The Cage and its sequel To Life, both by Rut Minsky Sender. She is still alive and living in America. She wrote her books in the late 1980s, and when I read them in 2000, I just knew I had to see it all in person one day. It was incredibly humbling, and I hope many of you have the opportunity to sometime see it in person. Are you also fascinated with the Holocaust? What an incredible experience this must have been. I can only imagine the emotions that you felt. I think that becoming a mother has made historical and current atrocities hurt my heart so much more. I can't help but imagine going through all this with my precious baby in my arms. It's horrifying. Such an incredible yet emotional experience. It's on my bucket list to visit someday. I can't even imagine how terrified all those people must have been, especially those with children to protect. It's horrible. Being a history major, this was one of the periods I delved into heavily. I even took an entire class on just the Holocaust. It was very dark and eye-opening on how it effected culture (even some things that we say as Americans..) It's on my to-do list someday. It's difficult to take it all in, just the enormity of it all.